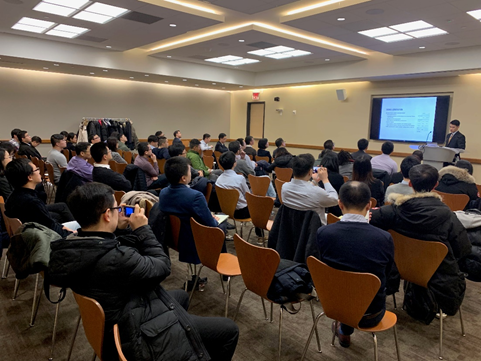 On January 24th, 2019, TCFA successfully held the 2018 Stock Trading Contest (STC) Final Competition at Fordham University. Over 100 guests, including senior investors and hedge fund managers, young professionals and students, attended the event. The Stock Trading Contest is intended to provide a platform and build the bridge between investment institutions and individuals who has proprietary investment strategies and looking to further extend their career in the investment world. The STC started in September 2018 with 3 months’ real-time simulation trading provided by Webull app. TCFA selected 5 top performers out of over 200 participants to the final competition to compete for the final Grand prize. TCFA invited three judges that consisted of distinguished senior investors and portfolio managers: George Chen, co-Founder and CIO of Homaer Financial; Shirley Zhu, Managing Director and Senior Portfolio Manager with Investment Solutions Group at Bank of America; Luke Peng, Investor and Entrepreneur focusing on Digital Assets. Special thanks to Webull app for providing both financial and technology support for the competition. 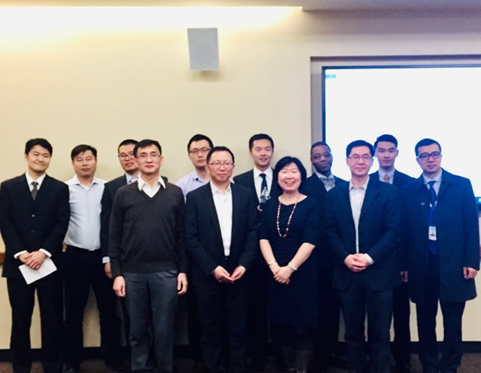 TCFA is a New York based non-profit organization with more than 7,000 active members around the world, servicing the Chinese professionals in the finance industry.